Forget London. Arrive at an alternative UK international airport to save time and money. Most visitors to the UK head for Heathrow or Gatwick because London is the United Kingdom's most famous entry point. And London's Heathrow is the world's busiest international airport after all. But if your ultimate destination is a trip in the Scottish Highlands or a music pilgrimage to Liverpool or one of England's indie capitals - Birmingham, Manchester or Newcastle - it could cost you everything you've saved on your budget flight for train fare, hotel rooms, rental car mileage or petrol (gasoline) just to get to where you really want to go. If you are flying transatlantic, you may have more choice of where to land than you think. There are more airports supporting flights to the USA than there were a few years ago, but they are reaching fewer destinations within the USA. 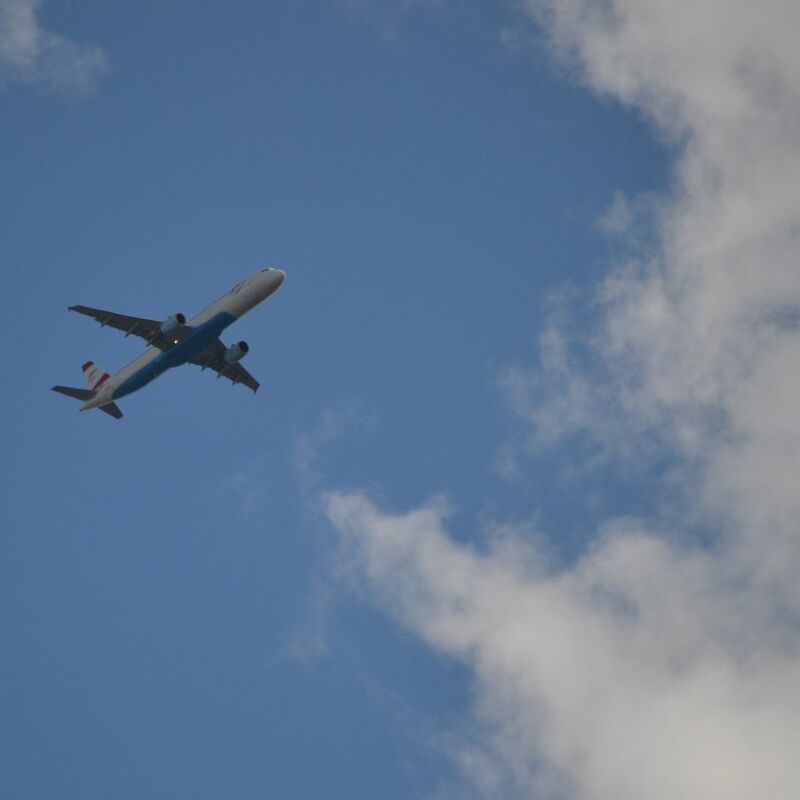 Nevertheless, there are still at least 10 airports across the UK that have regularly scheduled flights and connecting flights to and from North American destinations. Some fly to only a few North American cities, but others have either direct or connecting flights to East and West Coast and Midwestern destinations across the USA and Canada. By looking for flights to alternative airports, you might pick up a bargain. And, if your final destination is far from the UK capital, you can probably save local travel and hotel costs as well as time. Air fares go up and down and depending on how and where you buy yours, the prices for the same flight can vary greatly. The best way to see how much time and money you might actually save is to choose a moment in time and compare the numbers. For comparison's sake, suppose you are heading to the Western Highlands of Scotland - for touring, golf, a cruise on Loch Lomond and visits to some of the islands - Skye perhaps, or Islay for the whisky. You could fly to London and then make connections or you could fly smart and head directly to Glasgow International Airport, serving cities on the east and west coasts of the USA and Canada. Newark Airport to London Heathrow - The cheapest non-stop flight was an Air France flight operated by Delta from JFK to London Heathrow. It cost $601 and took 7 hours and 5 minutes. Flying from Heathrow to Glasgow by British Air cost $144 and added an additional 1 hour and 25 minutes travel time without counting waiting time between flights - that could be hours, or even a whole day (adding a hotel bill and expensive airport meals to your tally). So, that's a total spent of $745 and 8 hours and 30 minutes air time without counting waiting time between flights, plus the potential for airport meals or accommodations. Newark Airport to Glasgow International Airport - The cheapest non-stop flight was a Lufthansa flight operated by United Airlines for $589 with travel time of 6 hours and 55 minutes. That's a saving of $156 and a time saving of almost two hours. If you decided to transfer from London to Glasgow by train, the round trip fare would be approximately the same but you could add at least five or six hours of traveling time, not counting the time you might have to wait to coordinate your air arrival with your train departure. So for some UK destinations, alternative international airports make a lot of sense. Check out these airports that support transatlantic flights to see which one is best for your travel plans..
Manchester Airport - The gateway to the North and Northwest of England serves 13 North American air travel hubs including Atlanta, Boston, Charlotte, Chicago, Houston, Las Vegas, Los Angeles, Miami, New York, Orlando, Philadelphia, San Francisco and Washington. It serves more North American locations, on the East and West Coasts, than any UK airport outside of London. Glasgow Airport - Scotland's main international airport serves East and West Coast destinations in North America. They've recently added direct flights to Montreal and Toronto and also serve, Miami, New York, Philadelphia, Orlando, Las Vegas, Halifax, Calgary, Vancouver and one-stop connecting flights to Los Angeles and San Francisco. Edinburgh Airport - Fly from New York - JFK, Newark and Stewart in Orange County, NY - Toronto, Chicago and Orlando (in travel packages) Providence for Boston and Washington DC. Scotland's capital city is convenient for England's northeast border country as well. Birmingham Airport - Fly from New York JFK or Newark, Boston or Toronto for access to The Midlands and Mid Wales and good onward connections to the rest of the UK, Europe and even further. East Midlands Airport - Located in Derbyshire, virtually in the center of England, several holiday operators were fly to popular US destinations like New York and Florida. Bristol Airport - has no direct flights to the USA but this gateway to England's West Country and South Wales has connecting flights from Boston, Chicago, Los Angeles, New York and San Francisco. Cardiff - Cardiff has direct flights to Orlando (who doesn't), but there are also connecting flights to most East and West Coast hubs as well as Texas destinations. Liverpool John Lennon Airport - Since October 2015, this Northwest England airport has become a gateway to North America through Dublin. Cities reached via this one-stop route include Boston, Chicago, New York, Newark, Hartford (halfway between Boston and New York), Orlando, Los Angeles, San Francisco, Toronto and Washington D.C. As an added convenience if you are heading home with lots of goodies, you can take advantage of US Customs and Immigration Pre-Clearance facility at Dublin Airport. Newcastle International Airport - Connects to New York, Orlando and Las Vegas. London has five airports. In 2016 they all supported some transatlantic flights. London City Airport If you are happy to splurge on first class travel, British Airways has premium flights to New York JFK from this airport. If you are thinking of adding the UK to a longer trip, you can fly into London City from most popular European cities. Heathrow - The biggest and everyone's obvious choice. Gatwick - Once a secondary airport, Gatwick now has better transport connections to London and a bigger choice of scheduled flights. It's convenient for Kent, Sussex and South Coast destinations. Stansted -This small, but rapidly growing airport northeast of London handles flights from all over Europe. While services to North America are limited, it is possible to fly from Orlando or Las Vegas to Stansted.